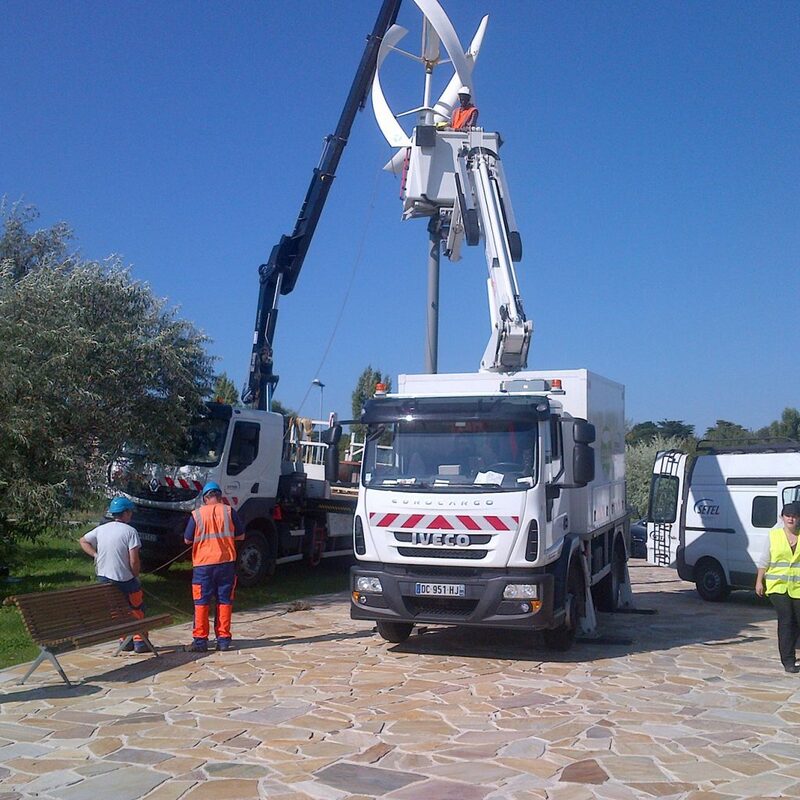 Expert in small wind turbines since 2009, ENERLICE designs, assembles and implements solutions of energy independence, in vertical and horizontal small wind turbines, in hybrid energy stations which integrate a large range of renewable energies. ENERLICE’s solutions and innovations are part of connected or autonomous micro grids to understand the future challenges of access to energy. With more than 70 active references, ENERLICE operates in all areas of France, with also export references, Morocco, Djibouti, Spain, Luxembourg, Belgium and Sweden. ENERLICE’s professional clients consists of large companies, the supermarket sector, commercial parks, the agricultural world, construction projects and industry. We will study your request carefully.